Lifter Guides Not for Use w/ Active Fuel Management. Order Head Gaskets Separately to Match Your Engine Combination. 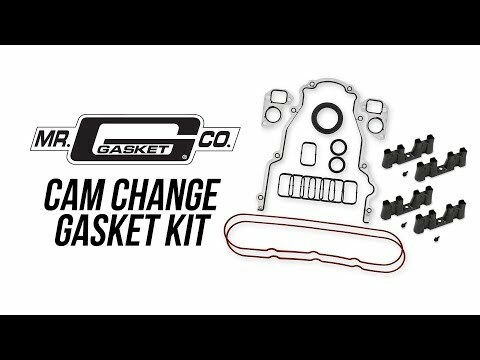 Mr. Gasket cam change kits include the gaskets, seals, and lifter guides required to install a new cam in your GM LS Series engine. This kit includes the following gaskets and parts: timing cover gasket, water pump gaskets, timing cover seal, intake seals, valve cover gaskets, and (4) lifter guides. 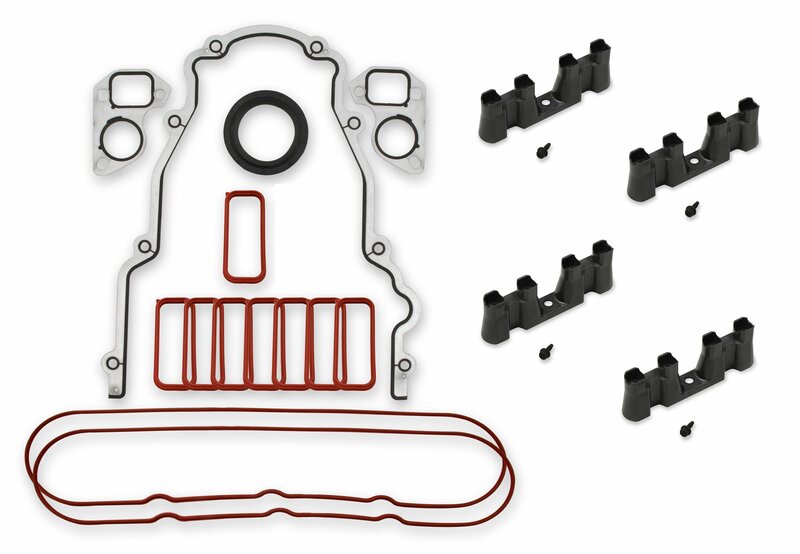 These gaskets & seals are high quality OEM style parts and the lifter retainers should also be replaced when the tappets are removed or replaced. Choose from (3) part numbers based on the cylinder head intake port (i.e. LS1/LS2/LS6 Cathedral Port, LS3/L92 Ports, or LS7 style ports). GM LS Series 1997-15 Use w/ OEM Style Hydraulic Roller Tappets. Sold individually - order 4 pieces for engine set. Includes Mounting bolt.